Shopping for Justice League Statues? Iron Studios is proud to present the Justice League Wonder Woman Art 1:10 Scale Statue! Based on original references from the Justice League movie the statue features a likeliness of actress Gal Gadot. 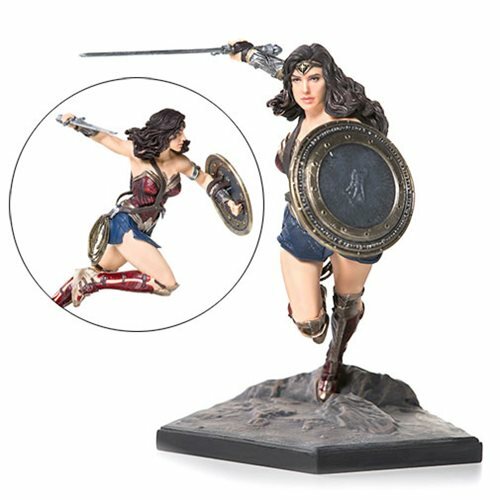 This Justice League Wonder Woman Art 1:10 Scale Statue is a must have for DC Comics and Justice League fans. Sculpted from polystone and hand-painted, this limited edition statue measures 7 1/10-inches tall. Ages 15 and up.